Have you ever tried combining beans with chocolate? I talked last year about the chocolate chickpea cupcakes I made for Nolan’s 5th birthday, but long before that, I was making bean-based brownies for Nolan to great effect. The problem is that they never survive long enough for me to photograph! 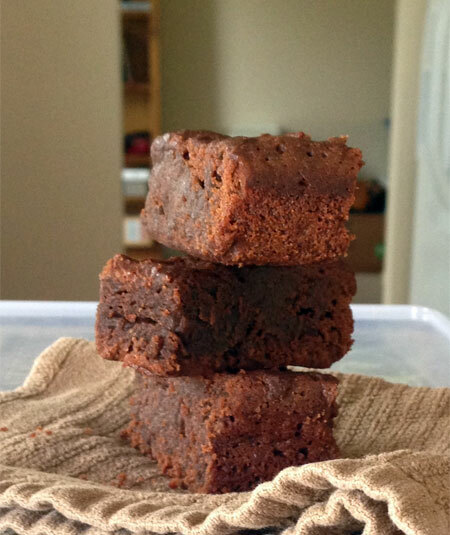 The first elusive brownie recipe I’m sharing today is both gluten- and dairy-free, moist and fudgy from black beans and coconut oil, and low in sugar. My mom likes these best when I undercook them somewhat, so the center of the pan is more like chocolate frosting than a baked good, lol. Preheat oven to 350F and grease a 9×9 square baking pan. In a food processor, puree the beans with the oil until smooth. Add the eggs, cocoa, sugar, vanilla, flour, baking powder, and salt; pulse until fully incorporated. Melt the chocolate and add to the processor; blend until smooth. Pour into the prepared pan. Bake until the surface looks matte around the edges and ever so slightly shiny in the middle, 20-25 minutes depending on your oven–ours are (under)done at 22min, and cooked through at 25min. Let cool at least 15 minutes before cutting and removing from the pan. This recipe doubles nicely for a 9×13 pan if you find them disappearing too quickly! Source: Adapted from Gluten-Free Urbanite. 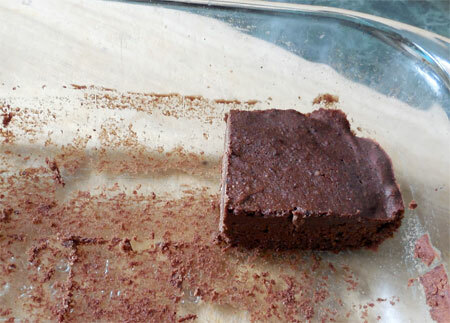 The second recipe I want to share is made with chickpea flour and dark chocolate for an extremely gooey, decadent brownie that could fool anyone. Even my skeptic of a husband gobbled these down. Melt the oil or butter with the chocolate in a small pan over low heat. Let it cool down a little. Meanwhile, whisk eggs and sugar until light before adding the cooled chocolate mixture. Stir well. Sift flour, salt and cocoa and add it to the rest. Mix very well and pour into a greased 9″ square pan. Bake in a pre-heated 350°F oven for about 25 minutes. Source: Slightly adapted from Lucullian Delights.